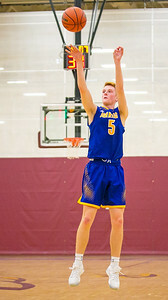 Daryl Quitalig - For Shaw Media Johnsburg guard Jackson LaMarche (5) shoots a three-point shot in the first quarter of the championship game of the Johnsburg/Richmond-Burton Thanksgiving Varsity Boys Basketball Tournament at Richmond-Burton High School Friday, Nov. 24, 2017. Johnsburg lost, 76-56. 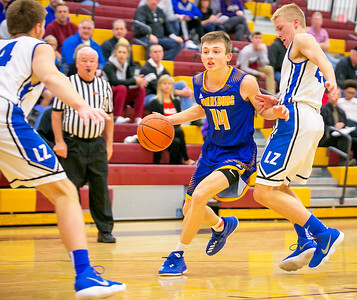 Daryl Quitalig - For Shaw Media Johnsburg guard Jackson LaMarche (5) drives the ball in the third quarter of the championship game of the Johnsburg/Richmond-Burton Thanksgiving Varsity Boys Basketball Tournament at Richmond-Burton High School Friday, Nov. 24, 2017. Johnsburg lost, 76-56. Johnsburg lost, 76-56. 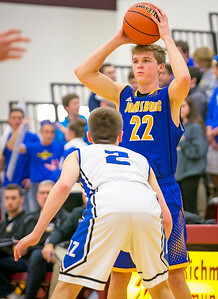 Daryl Quitalig - For Shaw Media Johnsburg guard Dylan Paprocki (22) looks for a pass in the second quarter of the championship game of the Johnsburg/Richmond-Burton Thanksgiving Varsity Boys Basketball Tournament at Richmond-Burton High School Friday, Nov. 24, 2017. Johnsburg lost, 76-56. 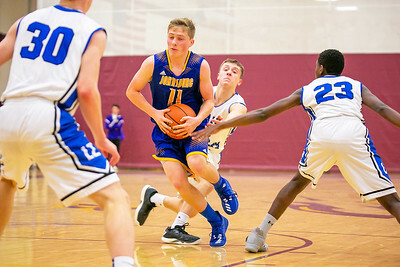 Daryl Quitalig - For Shaw Media Johnsburg guard Alec Smith (11) drives the ballin the first quarter of the championship game of the Johnsburg/Richmond-Burton Thanksgiving Varsity Boys Basketball Tournament at Richmond-Burton High School Friday, Nov. 24, 2017. Johnsburg lost, 76-56. 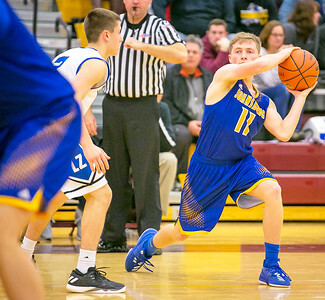 Daryl Quitalig - For Shaw Media Johnsburg guard Alec Smith (11) passes the ball in the third quarter of the championship game of the Johnsburg/Richmond-Burton Thanksgiving Varsity Boys Basketball Tournament at Richmond-Burton High School Friday, Nov. 24, 2017. Johnsburg lost, 76-56. 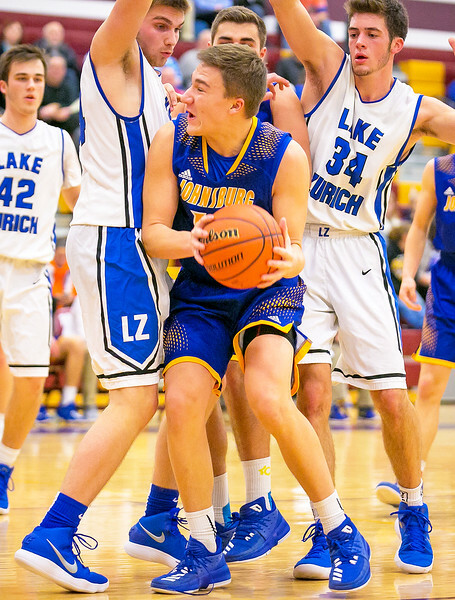 Daryl Quitalig - For Shaw Media Johnsburg forward Mason Sobiesk (10) secures a rebound in the third quarter of the championship game of the Johnsburg/Richmond-Burton Thanksgiving Varsity Boys Basketball Tournament at Richmond-Burton High School Friday, Nov. 24, 2017. Johnsburg lost, 76-56. 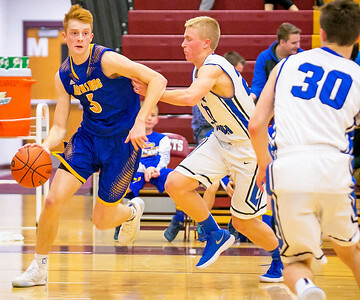 Daryl Quitalig - For Shaw Media Johnsburg guard Jackson LaMarche (5) drives the ball in the third quarter of the championship game of the Johnsburg/Richmond-Burton Thanksgiving Varsity Boys Basketball Tournament at Richmond-Burton High School Friday, Nov. 24, 2017. Johnsburg lost, 76-56. 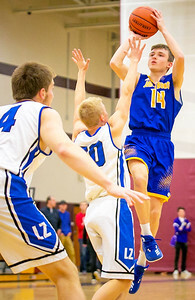 Daryl Quitalig - For Shaw Media Johnsburg guard Zach Toussaint (14) shoots the ball in the first quarter of the championship game of the Johnsburg/Richmond-Burton Thanksgiving Varsity Boys Basketball Tournament at Richmond-Burton High School Friday, Nov. 24, 2017. Johnsburg lost, 76-56. Daryl Quitalig - For Shaw Media Johnsburg guard Zach Toussaint (14) drives the ball in the first quarter of the championship game of the Johnsburg/Richmond-Burton Thanksgiving Varsity Boys Basketball Tournament at Richmond-Burton High School Friday, Nov. 24, 2017. Johnsburg lost, 76-56. 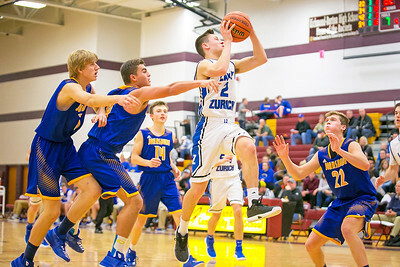 Daryl Quitalig - For Shaw Media Lake Zurich guard JR Cison (2) shoots the ball in the fourth quarter of the championship game of the Johnsburg/Richmond-Burton Thanksgiving Varsity Boys Basketball Tournament at Richmond-Burton High School Friday, Nov. 24, 2017. Lake Zurich won, 76-56. 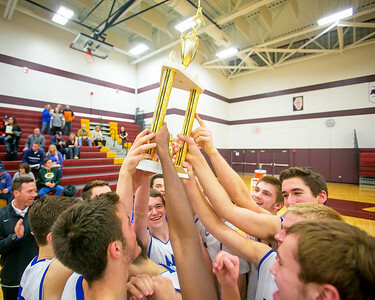 Daryl Quitalig - For Shaw Media Lake Zurich celebrates with the championship trophy after defeating Johnsburg, 76-56, in the championship game of the Johnsburg/Richmond-Burton Thanksgiving Varsity Boys Basketball Tournament at Richmond-Burton High School Friday, Nov. 24, 2017. 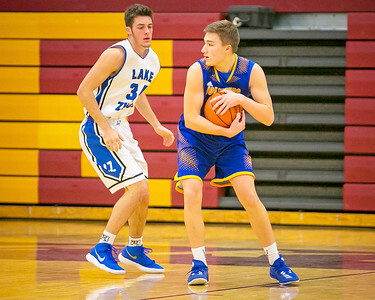 Johnsburg guard Jackson LaMarche (5) drives the ball in the third quarter of the championship game of the Johnsburg/Richmond-Burton Thanksgiving Varsity Boys Basketball Tournament at Richmond-Burton High School Friday, Nov. 24, 2017. Johnsburg lost, 76-56.